Professor Van Dusen, also known as the Great Thinking Machine, unravels puzzles that would stump a lesser man. 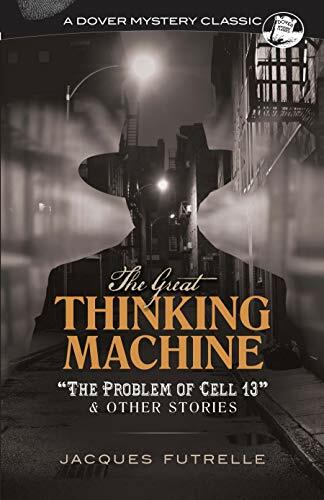 The “Problem of Cell 13” is rather famous as an ingenious locked room mystery. The Professor is challenged by two colleagues to escape from a real prison cell within a week. The other eleven stories in the Great Thinking Machine are rather a mixed bag. Perhaps more of interest to a historian or doctoral candidate than a modern mystery reader. However, the “Problem of Cell 13” is alone worth the price of the book to locked room mystery fans. 3 stars. Thanks to Dover Publications and NetGalley for a copy in exchange for an honest review.